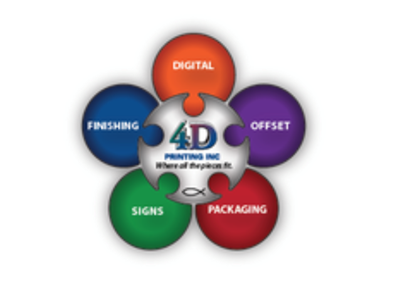 Established in 1985, 4D Printing Inc. has been a recognized leader in providing commercial printing solutions to customers in any market. We offer large format, full color graphics, and can print a wide variety of media including vinyl, paper, banners, static cling, and many more. We are located in Conyers, GA and operate in a 28,500 square foot building. Please feel free to give us a call at 770.929.8717 or send us an email at sales@4dprint.com regarding any printing needs you may have! Thank you in advance!